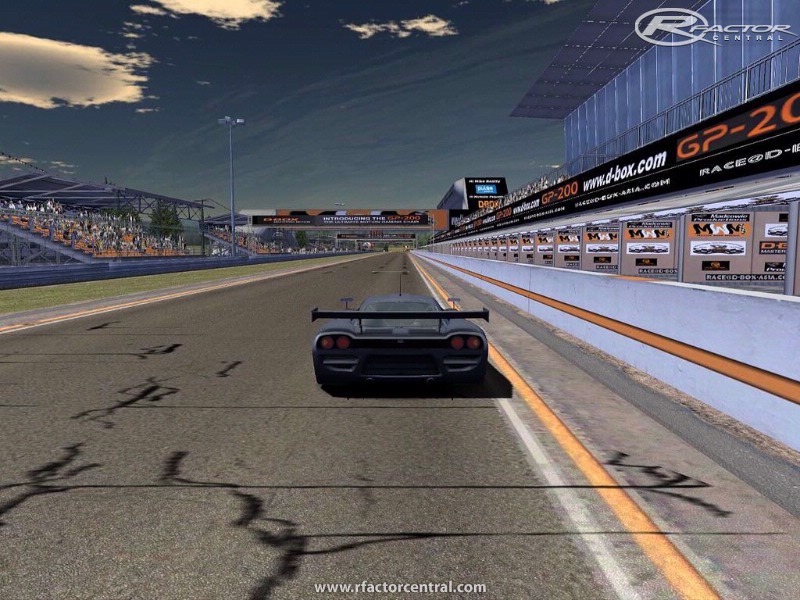 Hello everyone and welcome to my first sponsored track for R-Factor. This track is bought to you by Movies With Motion, Movies with Motion are the D-Box Asia Distributors and there help and approval over the last couple of months has been instrumental to my efforts towards this track. I will be adding various screenshots over the next couple of weeks and the video is pretty much ready to go. Just finalizing the final touches as I type. So expect it pretty soon. Heading down the pit straight flat out in the Meganes we throw it into the left hander at turn 1. This corner is flat out if you hit the apex. Turn 2 is a hairpin right in 3rd gear, its pretty bumpy outside so keep it tight. Next comes the chicane a left, right, left. This chicane is going to keep on catching you out as braking and riding the curb on entry is tricky and I often find I don't turn enough for the right hander part of the chicane. Then we move onto the climb towards, the 2 left handers. These corners are deceivingly quick and make the right hander that follows a two line corner. You can either keep the line tight threw the left handers to keep the racing line for the right hander or take the lefts faster and enter off line into the right. Now comes another right this time it has pretty viscous slope on it. In the meganes this corner can be taken flat out with bravery. Now we are climbing to the highest part of the track and when we peak the car is going to get very light and twitchy. Now we are heading for a new type of corner in motor racing called the "compression". This corner is flat out for the crazy nutters, but in a long distance race I would advise a little lift just to make sure as the car bottoms out. From the compression we are now into the esses. We have a flat out right followed by a flat out left. Whilst in the left you need to start braking and drop it down a gear for the right hander which is off camber and wants to throw you left over the curb of the apex of the next corner which is a flat out left. Having negotiated the esses we drop downhill before starting to rise for the next 3rd gear right. Again another tricky right hander uphill. You need to hit the apex and make sure you don't apply the throttle too early as the back end often wants to come round on you on this corner. Also make sure you get plenty of lock on as you turn in as I often find I run out wide. From the right hander its a quick press on the throttle before heading for the final 3 corners. This is a tight second gear chicane and the curbs need riding. As you exit the chicane in the final right hander you need to carefully apply the throttle as you head for the start finish straight. Its also a good idea to keep off the curb in the final corner as its easier to apply the throttle. This track has curbs which you can generally ride but they are designed to catch out corner cutters so don't over cut them. 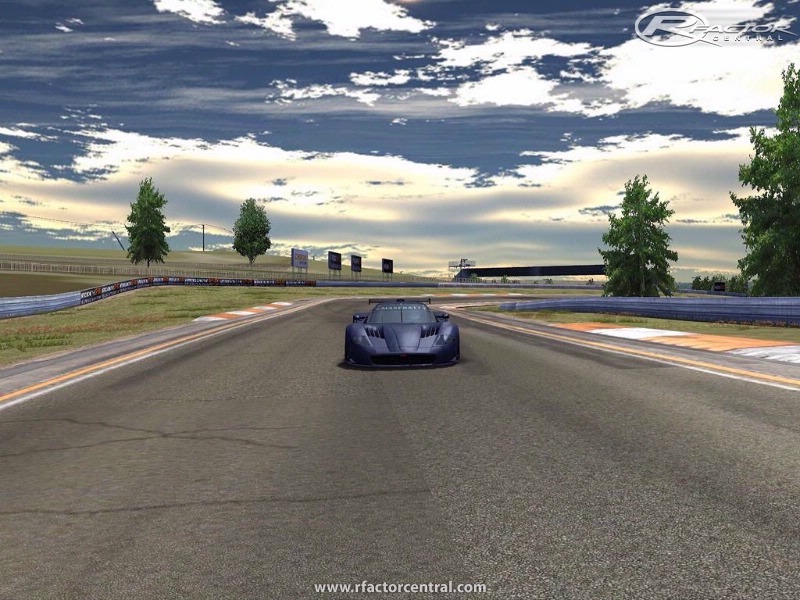 This track is full of challenging corners and its a must must drive!!! P.s Thank to MVM for sponsoring the track. 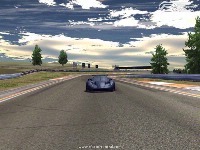 This version also includes a GP200Kart track not included in v1.0. 1.1 is no where to be found.. again ..
Amazing Track. One of the best, no doubt. But.... hehe, I found a problem... in a standing start from pole position in cockpit, you can't see any lights. And no sound of the semaphore either. 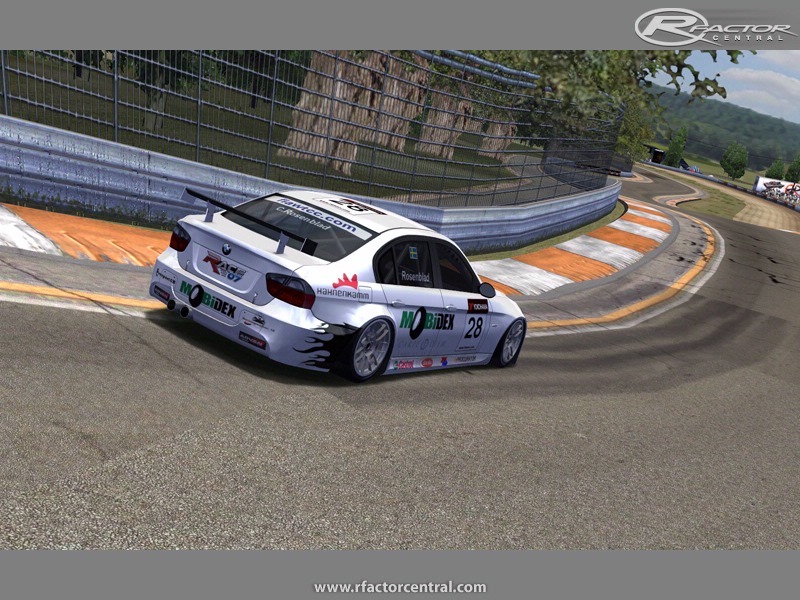 This is definitely in my top 5 favorite tracks in rFactor. Heck, come to think of it, Mad's tracks take up 4 slots in that top five. Man, you have some real talent. This is some brilliant work! Thank you so much for sharing with us. 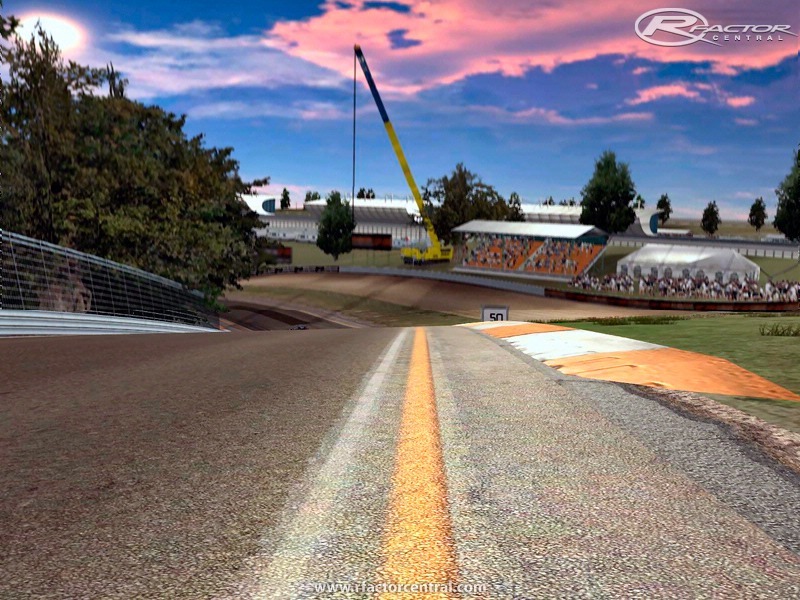 absolutely one of the best tracks in SIM racing, along with many other of Madcowie's. Get them all. Works of Art and sublime driving experiences with constant challenges. Thanks Madcowie, awesome work man!